The other day I was talking with a friend about balance sheets. We both work corporate jobs, and he has a degree in finance. There was some confusion about how the money gets accounted for, and it’s a common trip up for people just starting out. 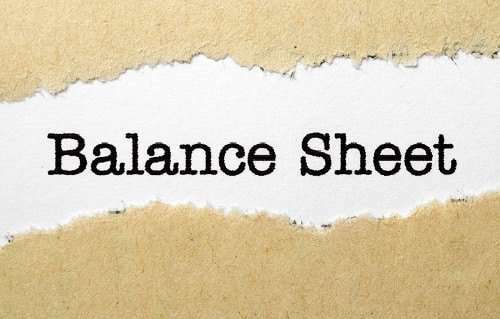 We were able to hash it out and he gets it now… if you’re confused about balance sheets then this is the post for you. My wife took a course on accounting, and seriously half of the questions they would ask you about on the homework and tests just used this one equation. It can get confusing though, because the way that money flows inside a company is not as simple as your personal finances. For example, if you get paid $2,000… everybody can agree that you now have $2,000 more in your checking account. Maybe you had a garage sale, this still becomes $400 into your checking account. It’s easy to track because it’s all in one place, and your income streams are usually limited in number. Take a multimillion dollar corporation however, and one single checking account can’t ever be enough. There needs to be payroll accounts, expense accounts, accounts for inventory, accounts for revenue, accounts for profits, accounts to pay shareholders… you get the picture. This isn’t the case though. There are 3 major financial statements that every public company is required to submit. This requirement makes it easier for us to understand how any extra money can be used. Creating cash by selling real estate doesn’t mean the company can suddenly hire 10,000 more people. An asset like real estate belongs in the balance sheet, but the extra cash from this sale will show up positive on the cash flow statement. You see, the cash can only show up on one statement at a time. It’s simple when you realize this. The balance sheet has assets and liabilities. When you sell an asset, you lose it off the balance sheet. So your “assets” total on the balance sheet goes down. But the cash you generated goes somewhere too. It doesn’t go in the income statement (also known as a P/L or Profit and Loss), because it wasn’t generated from your company’s sales. An increase of 50,000 sales and $250,000 more in profits goes in the income statement, but not cash from the selling of an asset. So you see, the cash from a sold piece of real estate shows up in the cash flow statement. Now we can start to understand why a company can’t just go on a hiring spree now. It’s because of this: hiring more workers is an expense. It goes in the income statement. When this example company sold its real estate, their income statement didn’t get affected. So if they just decided to hire like crazy, the income statement would be affected and profits would plummet. This would scare the heck out of investors, and just cause panic in general. If you can understand the 3 financial statements you can give yourself a fighting chance in the stock market. Let’s start with the balance sheet because it is the simplest to learn. That’s SO much easier to understand. It’s the same equation, I just moved the liabilities to the left side (if you need help with this part, please review simple math.. YouTube is a great teacher). Really all that the balance sheet is, is simply a measuring stick of the net worth of a company. Individuals have net worth as well, so we can use that example to make sense of this. Let’s say you have a stock portfolio of $200,000. Let’s say you also own a home that is worth $500,000… and you owe $100,000. What’s your net worth? Specifically, what would your balance sheet look like if you were a Fortune 500 company. Simple. It’d look like this. So.. using our nifty balance sheet formula, you’d be worth ($200,000 + $500,000) – ($100,000) = $600,000. Your net worth is $600,000. Get it? Why is this so important? Well besides being a nice way to compare egos, it’s critically important if you are evaluating companies. Again let’s pretend you are a company, and I have the choice between investing in you, and investing in someone who is only worth $250,000. Obviously I would invest in you. In the same way, you’d rather invest in companies with a bigger net worth than companies with a smaller net worth. I hope this is obvious to you why. 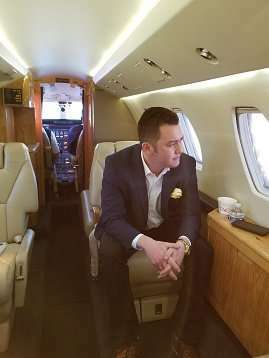 A company with $1,000,000 of assets (inventory, machinery, real estate, etc.) can grow and reach more customers than a company with only $1,000 of assets. If the price were the same for those 2 companies, I’d buy the bigger company every single time. But… this is a big BUT, it all depends on the price paid. I’ve said over and over again that you have to look at investing as if you were buying the whole company outright. (I didn’t invent this idea, the great Oracle Warren Buffett popularized it first). Because you really are buying the company, just pieces of it. Stock buying IS part ownership at the most fundamental level. So again take the example of the companies with A) $1,000,000 in assets and B) $1,000 in assets. If company A costs $2 mil to buy and company B only costs $200, you should buy company B. Both companies are bound to grow. But in this simple scenario, the buyer of company B will win out every single time. Why? Because he only paid $200 to get $1,000 of value. That’s like buying real estate for $0.20 on the dollar. Makes sense? I’m telling you right now, that this concept is something that 90% of investors don’t get. And they keep piling into internet stocks and biotech stocks that are rising so fast right now but will crash and burn someday soon. It’s the same pattern repeating every single decade since the history of the stock market. Until companies stop trading at ridiculous valuations… I’m telling you, if we ever see this stop (99.9% positive it won’t), then you will know that most people just don’t get this simple concept. This simple ratio is called price to book (or P/B) ratio. It’s as simple as this, a P/B of 77 means you are paying 77x of a company’s value. A P/B of 0.5 means you are paying 50% of a company’s value… a great deal if you ask me. Take the time to understand the 3 major financial statements. I’ll explain the other 2– cash flow and income statement– in greater detail as well. This financial statement stuff is intimating at first, but I hope it makes so much sense now. Seriously, you can have an advantage over Wall Street, simply because most investors are too lazy to understand balance sheets. Earnings manipulations are used by companies in the stock market to make a financial year look better or worse than reality. How does this happen? Well, the manipulation of earnings happens more often than people realize, and in some cases it’s perfectly legal. A company can write off an expected liability in the earnings figure, but only account for it in the footnotes. In other words, the accounting statement of earnings could misrepresent the actual number. Because financial statements have to be audited, they utilize the rarely observed footnotes to cover their backs and still be legally obedient. Companies can use this accounting trick to make their earnings look better than they actually are, or make them look worse than they actually are. The reason they would make earnings look worse than they are is to pad their numbers for future years. By taking a hit in earnings one year early, the company can artificially raise the earnings numbers of subsequent years. This makes a company look more stable or continues a particular growth pattern. The instances of earnings manipulations are another reason why I believe so strongly in the analysis of a company’s balance sheet instead of their earnings statement. Balance sheet numbers are frequently much more stable and reliable when it comes to doing investment research. Earnings statements focus on the results– which can fluctuate constantly– while the balance sheet focuses on the foundation. A good foundation almost always leads to good results. Basic value investing strategies center on balance sheet analysis much more than earnings numbers. You can still use earnings numbers as part of the analysis process, but with a wary eye for manipulation. Never invest solely on earnings information.